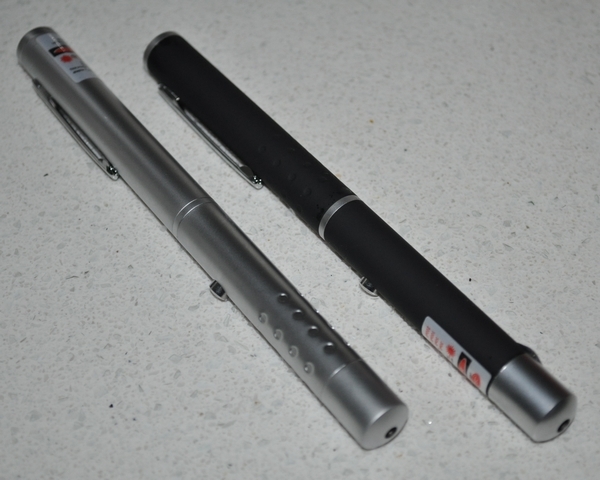 One green laser pointer and one red laser pointer, both of them have visible laser beam indoor, and the laser beams are very bright in darkness, you can see the following video. 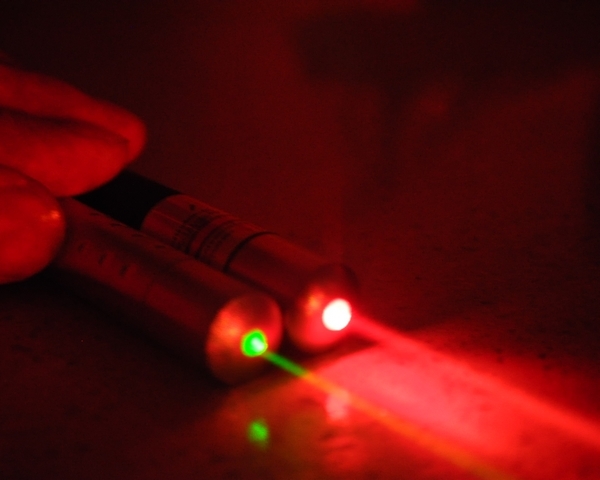 The green laser beam and red laser beam are very beautiful, but the green beam is brighter than red beam. They are pen-size, the color are black and silver. They’re powered by 2PCS AAA batteries.